Espresso is the base of most fancy coffee drinks - lattes, cappuccinos, macchiatos, and mochas. One of my favorites is a mocha - hot chocolate mixed with espresso. 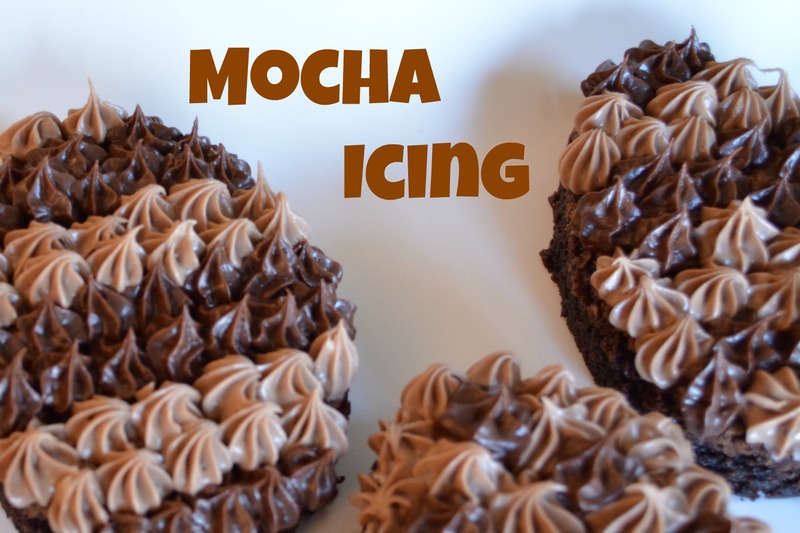 I found an easy way to bring espresso to your dessert with two-toned mocha icing. 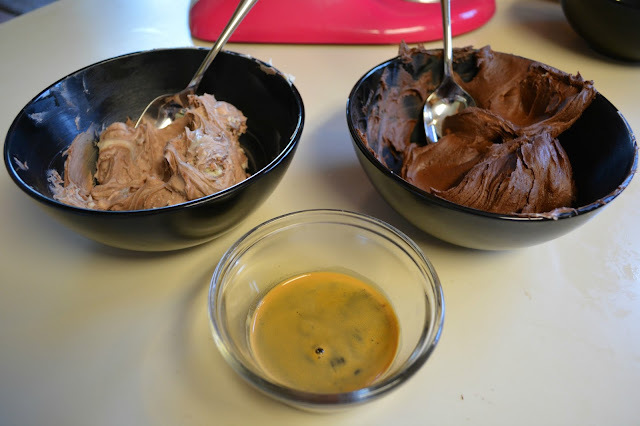 First mix your icings - one spoon full of vanilla in the chocolate and one spoonful of chocolate in the vanilla. This mix will provide the chocolate base needed, but with a light chocolate and dark chocolate. Next add about a shot of espresso (approximately two tablespoons) to each bowl of icing and mix thoroughly! The smell is delish! 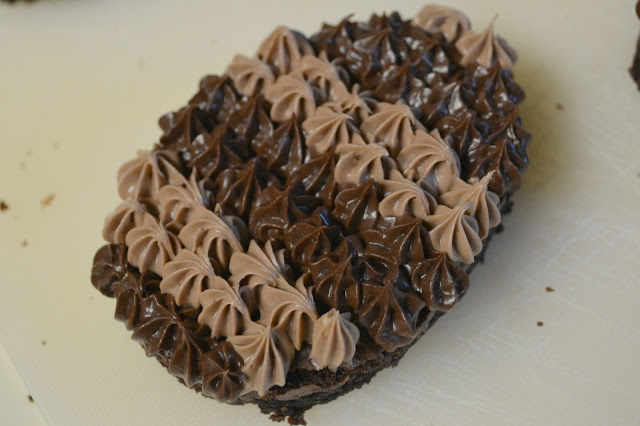 Use icing, as you normally would on cakes, brownies, coffee cake, etc. 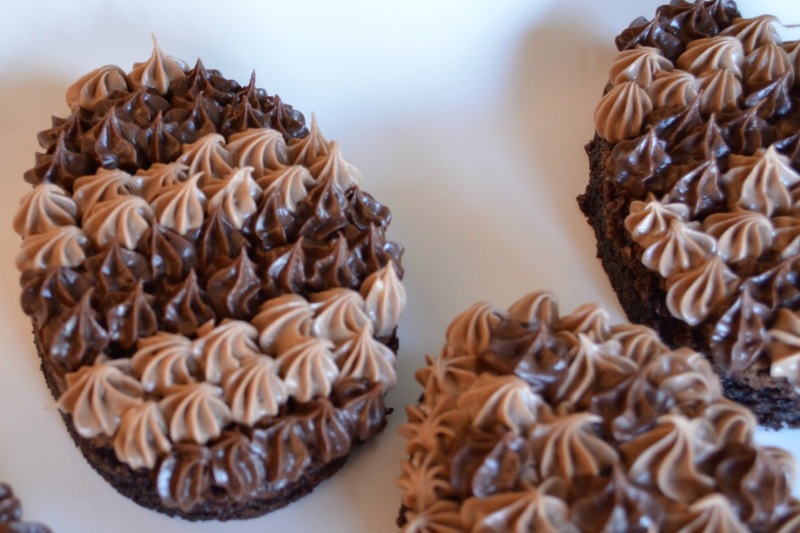 Your kitchen will smell like a coffee shop! 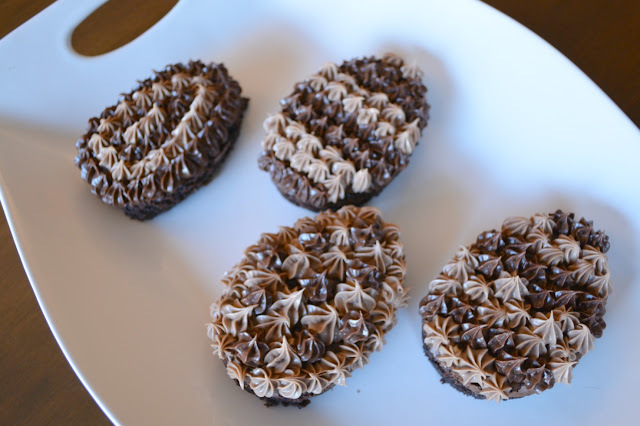 I made these a delicious mocha treat for Easter. I used the two toned icing to decorate egg shaped brownies. Yum Yum!